Babblings of a Mommy: Beauty Tip Of The Day: Creating a Smokey Eye Without Eyeshadow. Beauty Tip Of The Day: Creating a Smokey Eye Without Eyeshadow. "Instead of buying a separate cream eyeshadow base or long lasting shadow, just take an eye pencil and scribble a generous amount of it on the back of your hand. Then dab it onto your eyelids with your fingertip. 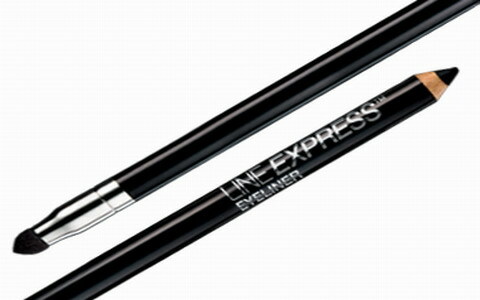 It's the perfect base for a dramatic shadow look and one that will last all day -- minus creasing. The bonus: dollars saved." I think this is a great tip if you're in a time crunch, ran out of your favorite eyeshadow, or out and about and don't have all your make-up on you. Have your tried this tip before? Let me know! Great tip!!! I haven't tried that before, but I will have to keep it in mind. I love eye makeup. I like to create a smokey eye with light colored eye shadows. This works well for a daytime look. I was thinking the same thing too. It would work great with colored eyeliner!